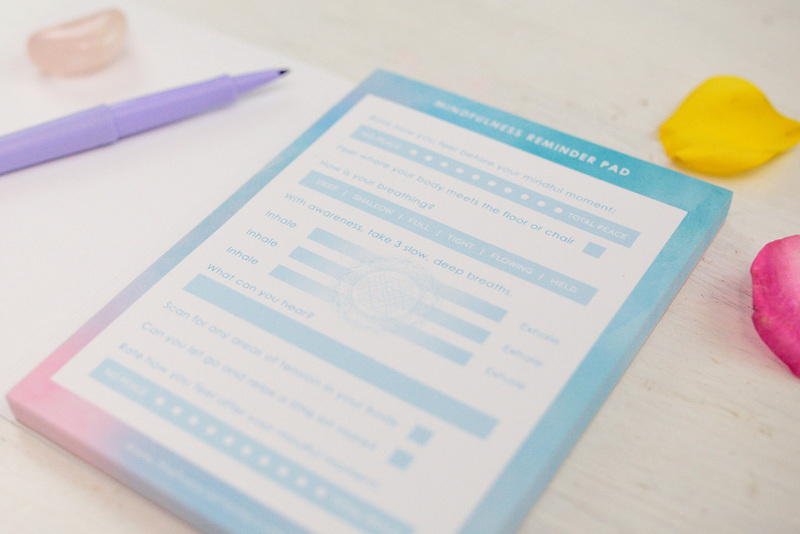 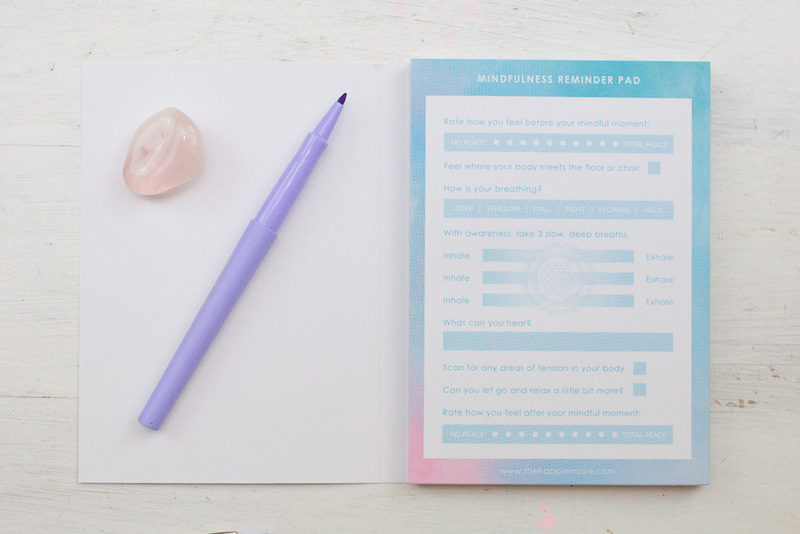 This Mindfulness Reminder Pad is your little nudge to be more mindful through out your day! 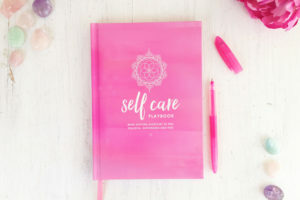 Keep in it on your desk, or in your bag and use it each day to strengthen your connection to yourself and awareness in general. 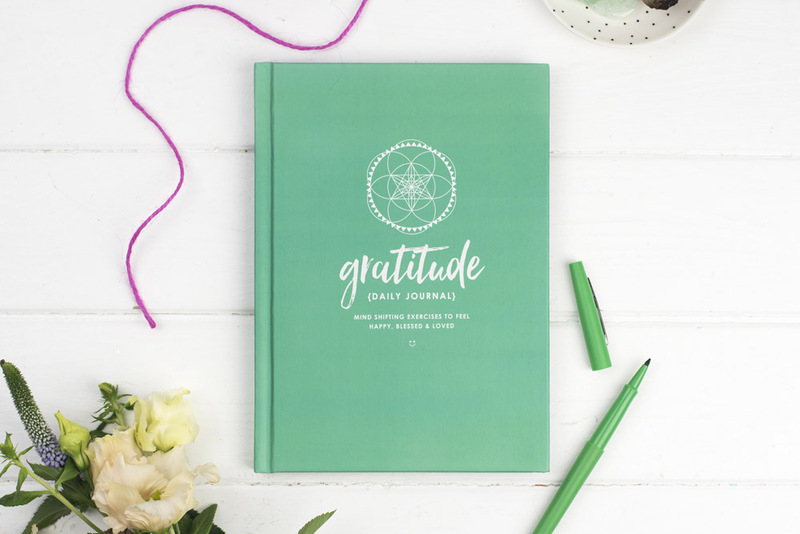 The guided mindfulness process inside gets you to pause, breathe and notice. 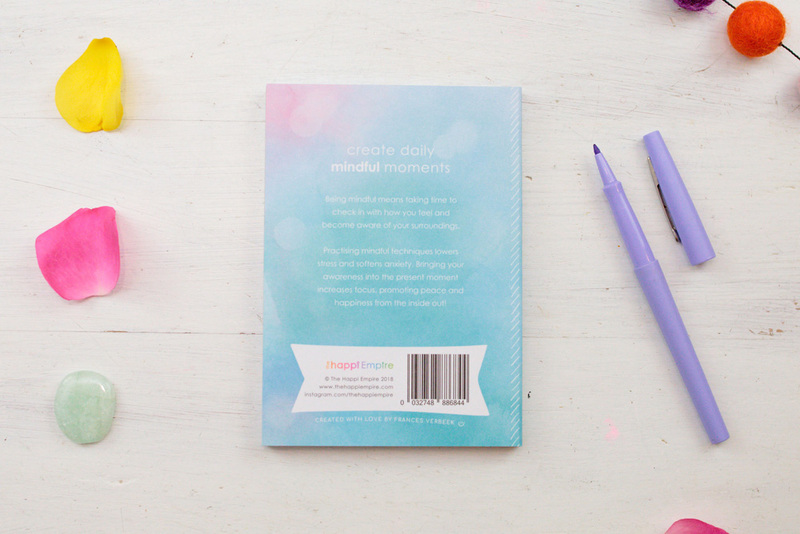 These things help you realise if you’re holding on to any stress and let it go. 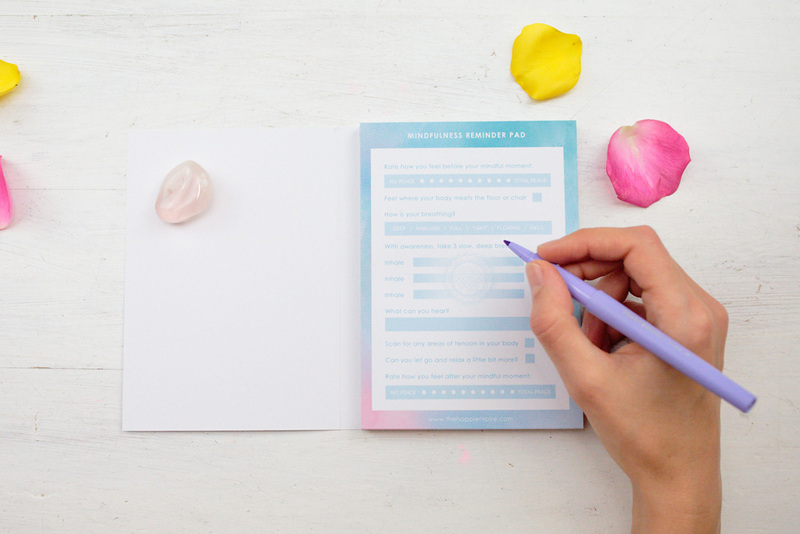 It’s got a little scale to rate how you feel at the beginning and the end of your mindful moment, to measure the effect it has on you. 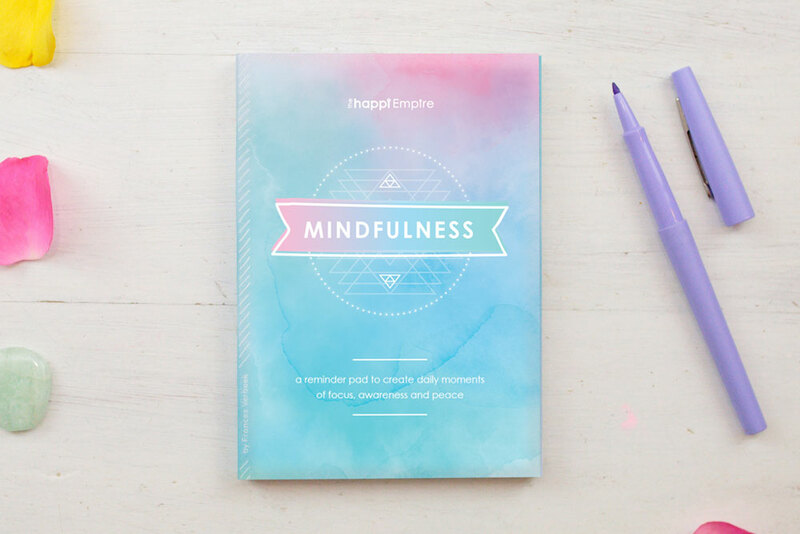 Being mindful means taking time to check in with how you feel and become aware of your surroundings. Practising mindful techniques lowers stress and softens anxiety. 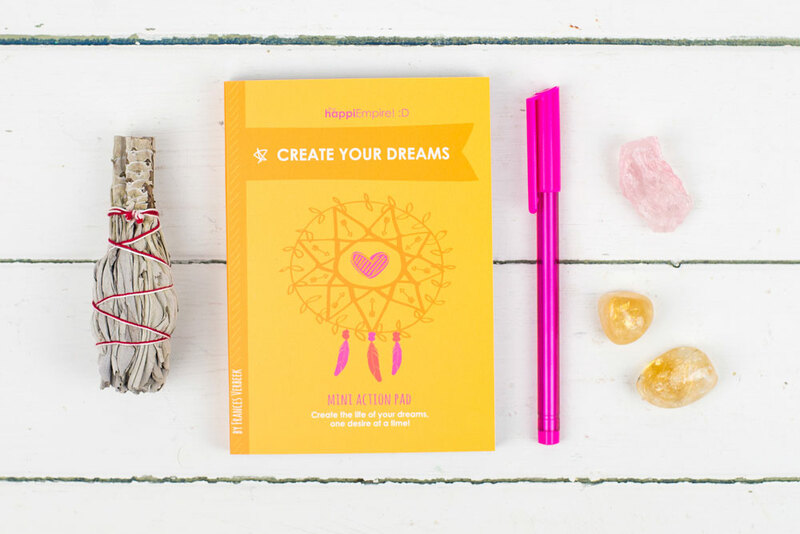 Bringing your awareness into the present moment increases focus, promoting peace and happiness from the inside out!